It’ll soon be that time of year again!!! Whilst I don’t like to start any kind of festivities until around a fortnight before Christmas, we have to acknowledge that for Mums and Dads especially, they have no choice but to start planning WAYYYY beforehand, so here are a couple of thoughts as to gifts for the coming season…. For the noisy blighter in your life…. 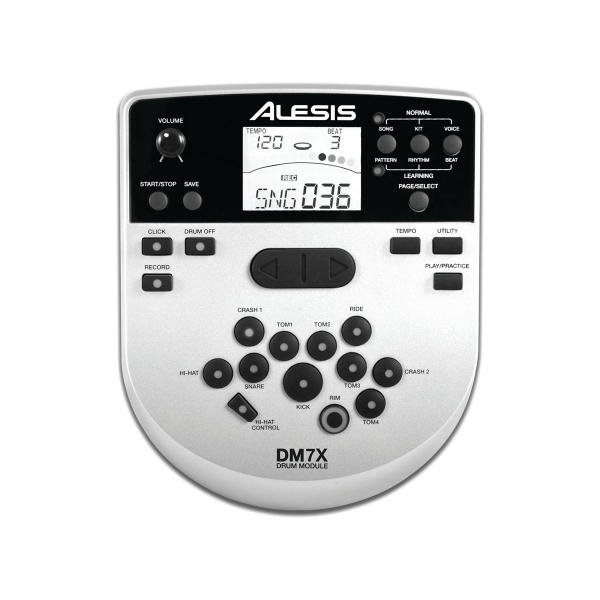 This is a cracking little version of the DM7X from Alesis. Packed with premium Alesis sounds and onboard extras, the DM7X module is the heart of the DM7X Session kit. Extremely playable pads offer realistic extras such as a dual-zone snare for accurate rimshots, as well as a crash cymbal with choke. The enhanced bass drum system is fast, responsive, and extra-quiet. The sturdy, all-in-one drum rack features a wide stance with longer feet for improved balance. Compact and complete, the DM7X Session Kit fits easily into a home studio or performance stage. Add an extra tom pad and/or cymbal pad to grow this expandable kit as your needs change. And for Mum and Dad? Seriously, your little Drummer can make as much racket as they like inside their own headphones, they can practise along to their mp3 player or to the 60 included play along tracks, and you won’t hear a thing!!!! The entire DM7X Session Kit sets up on a compact and sturdy 2-post drum rack. The wide stance and long feet offer stability for any style of drumming. 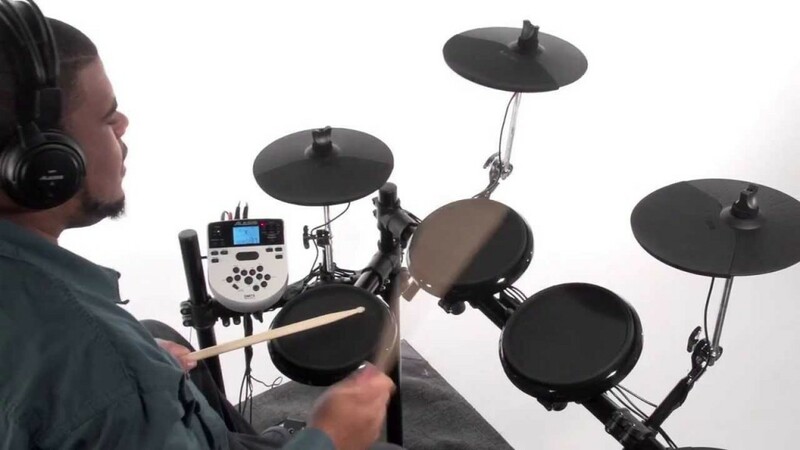 Four Alesis DMPad 8″ drum pads are provided; three tom pads and a special dual-zone snare pad offering realistic rim sounds. Next, add in a collection of three 10″ cymbal pads—crash, ride, and hi-hat. The crash cymbal pad allows authentic choking of the cymbal sound. 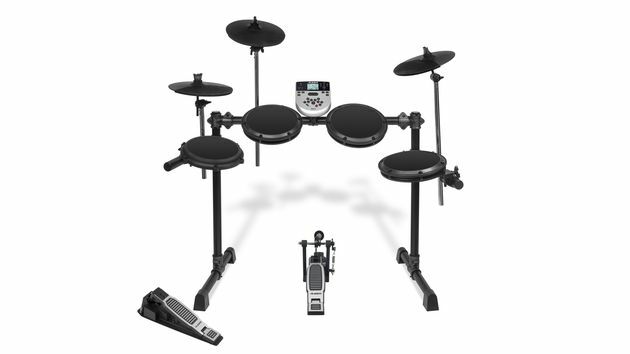 Quiet and compact, the bass drum system includes the responsive chain-driven X Kick pedal with an inverted beater for use with the super-silent StealthKick 2 trigger. Additionally, a cable snake is provided for easy and neat connections from the drum module to the drum pads, cymbal pads, and pedals. So this Christmas why not treat your budding Buddy Rich to a great sounding kit that they’ll enjoy every day, and that won’t cause you any earache (especially from the Neighbours!)……. Fuzzy, Overdriven Distortion! The best of all worlds.......? Previous PostDrumbeat 2014!! !Next PostTribute Bands? Classic Rock covers?…….